Did you know that skiing can improve your stability and balance and may even reduce the risk of repetitive-motion injuries? Also, it provides a way for family and friends to come together and have a great time up on the slopes. 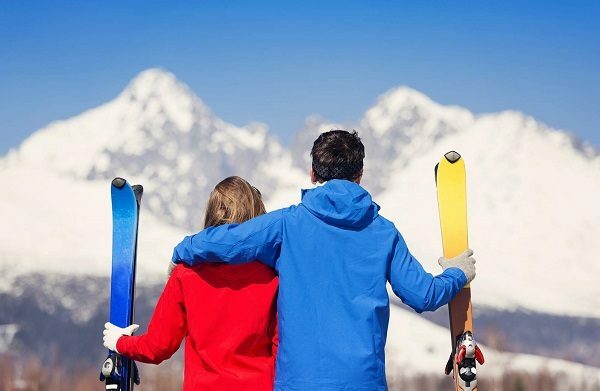 Most of us don’t spend that much time outdoors during the colder months, but skiing is the ideal excuse to leave your comfort zone and breathe in some fresh air. It lifts your spirit up, strengthens your mind and body, putting you in a better mood. But to make the most out of this awesome sport, you need to be dressed in the proper ski clothes that will keep you dry and warm the entire day. If you are a beginner and are unsure of what exactly you will need to buy, here’s a simple guide for you. The weather on the mountains can change very quickly so you need to be properly dressed Look for quality ski clothes made of more technical materials and high insulation that will keep you warm but also be lightweight. Look for pieces with their base layers made of manmade fabrics as they keep sweat at bay. Merino wool and silk are great materials for this as they are also very pleasant to wear and retain no odours. Finding the right pair of ski pants for you would be much easier if you know the different types. Stretch ski pants – most popular among women as they are form fitting. Same as pants, ski jackets come in a range of styles and fits. Hardshell – this is the most versatile kind and it is wind- and water-resistant. Softshell jackets can be used for a wide range of activities and can be used both as a middle and outer layer. Compared to hardshell, these are more breathable. Insulated jackets – these are the best option if you get cold easy. Bottom line is, a high-quality ski jacket should be waterproof with sealed seams and zips, warm, breathable and lightweight. You do not necessarily have to buy a neckwarmer, but it is a good piece have when it’s freezing up on the slopes. Neckwarmers are usually made of Merino wool, soft fleece or a breathable material so they will provide you with warmth and softness. They will fill the space between your helmet and ski jacket stopping the wind from reaching your neck. Also, with a neckwarmer, the cold zipper from the jacket won’t rub against your chin and annoy you. Leisure boots – these have extra space inside and their shell is made of a softer plastic which makes them much more comfortable to wear. The inner part of the boot has a less dense foam. Sports boots – this type is a mix of good performance and comfort. They offer great support and a close fit. Performance boots feel firmer and have less volume and are usually used by the more experienced skiers.